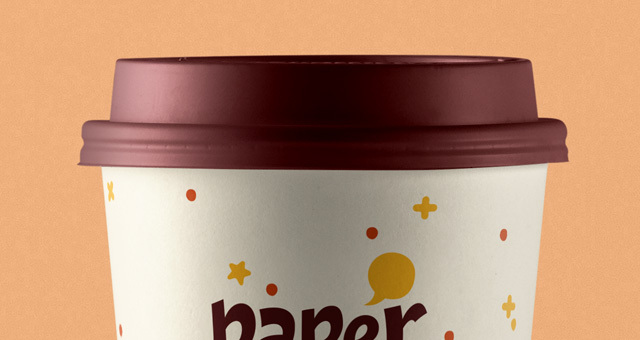 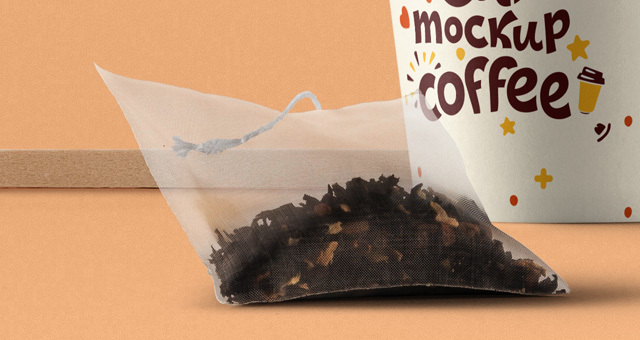 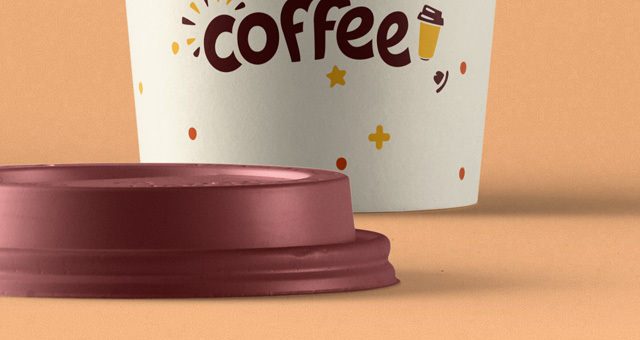 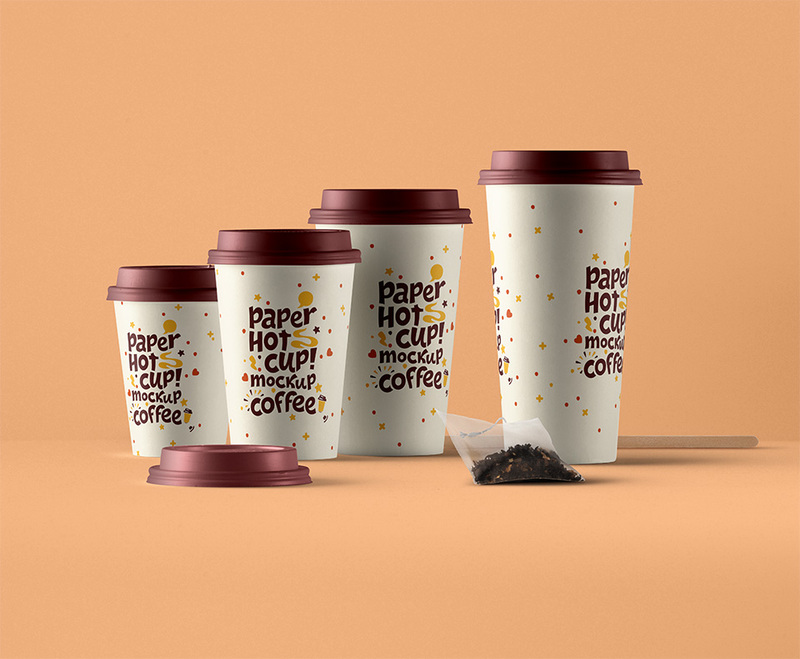 This is our psd paper coffee hot cup kit with the lid on top and a tea bag. 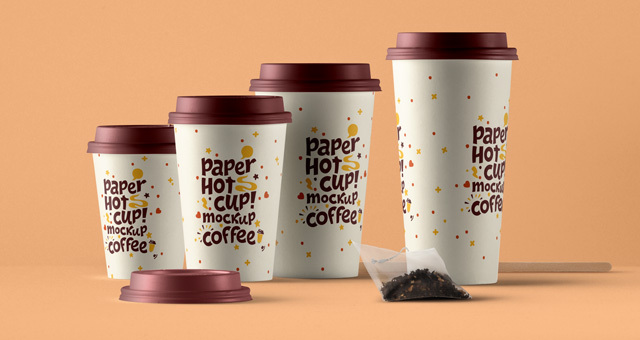 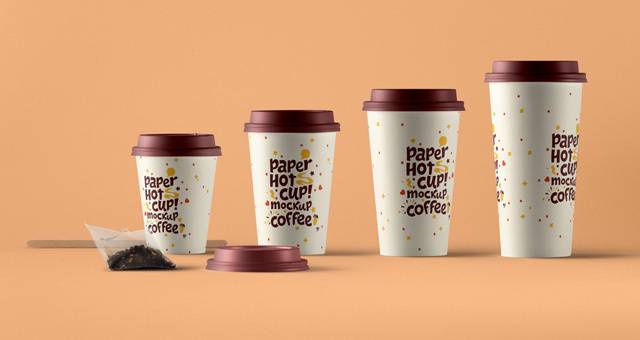 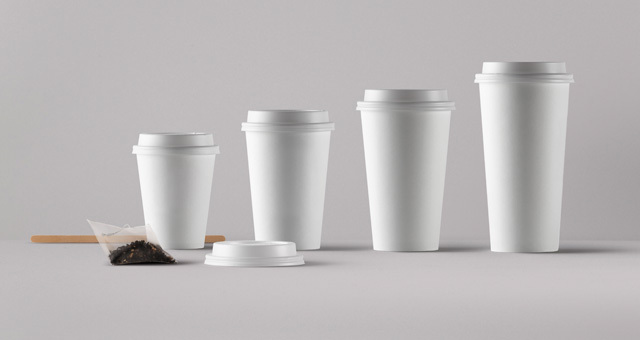 Showcase your branding designs with our a wide range of psd hot cup sizes. 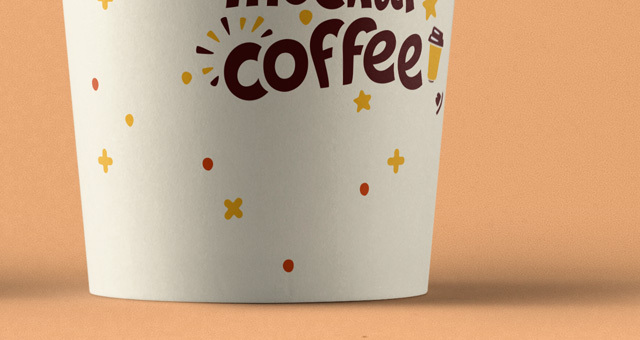 Add your own graphics with ease thanks to the smart layers.